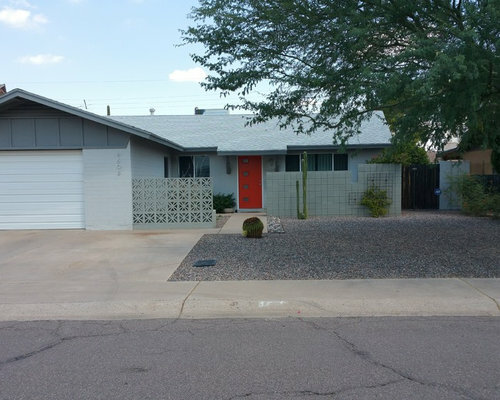 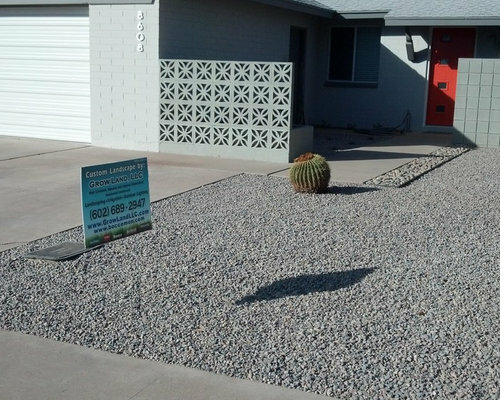 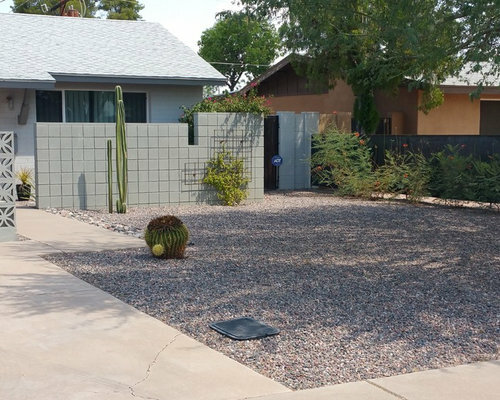 This Mid Century Modern remodel project is our featured project of the month, and includes a front and back yard complete landscape tear out and redo. 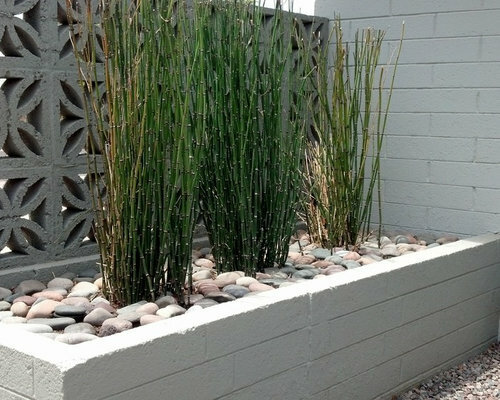 This client provided his own architectural design, which we took and added our own signature touches, creating enhanced flow and hitting everything on the wish list! 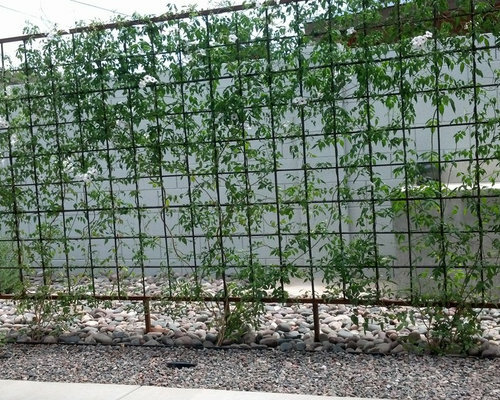 We built raw steel rebar and square tube steel trellises to green up walls, provide shade and define spaces, and to shade utilities. 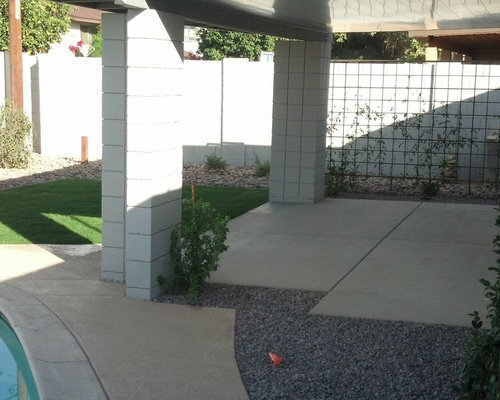 We bordered off a special turf area off the pool for precious pets, and added custom landscape lighting to make everything look great at night. 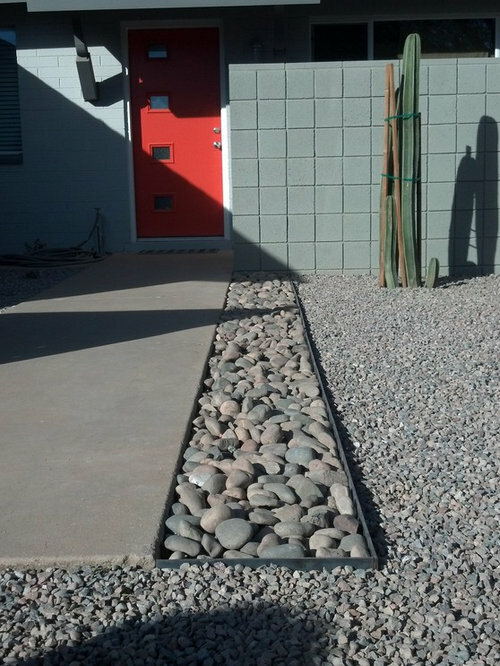 After adding fruit bearing citrus and desert flowering shrubs, we fabricated and installed steel bordered accent areas filled with river rock to polish off the finish. 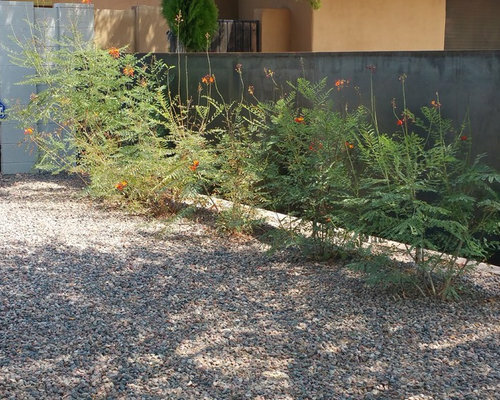 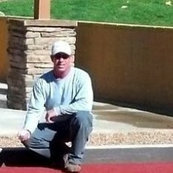 The installation included irrigation and lighting systems which are completely automated and comply with all city and state codes, and constructed just a little bit better than the other guys. 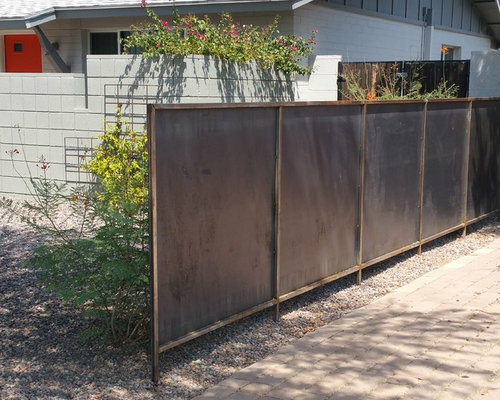 We have since returned to add a raw steel screen wall designed and fabricated to shield the sightlines from the neighbor’s front drive and parking for that extra bit of privacy. 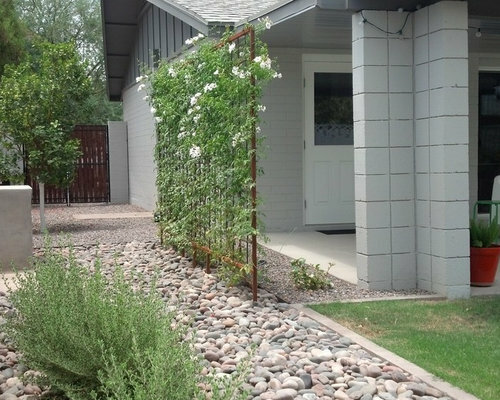 As with every project, we provided our “like it was my house” service, and the client was so happy that we have been called again for more steel trellis work!